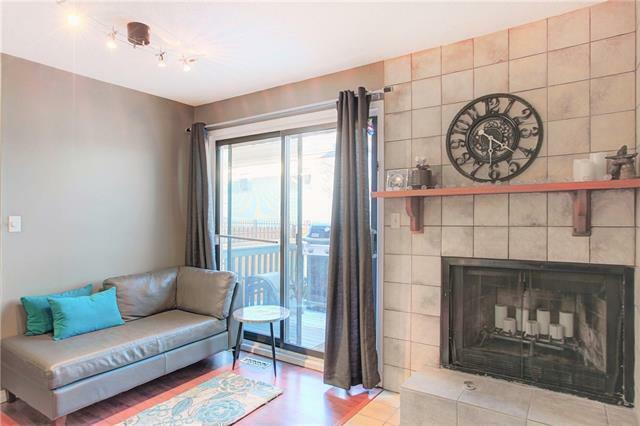 Enjoy inner city living in this trendy 2 storey 2 bedroom townhouse in the heart of Killarney. 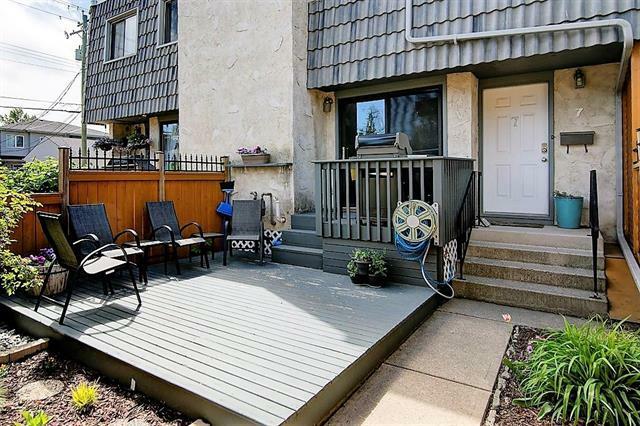 Featuring a fully enclosed yard w/ large deck, flower garden and BBQing area - perfect for sunny days! Featuring open main floor living space with tile faced wood fireplace, rich laminate floors, slate tile and designer colour palette. Spacious kitchen w/ plenty of counter space, slate backsplash, raised bar & stainless-steel appliances. Upper floor features 2 large bedrooms with great closeting, full 4pc bath plus large hall closet for all your extra storage needs. 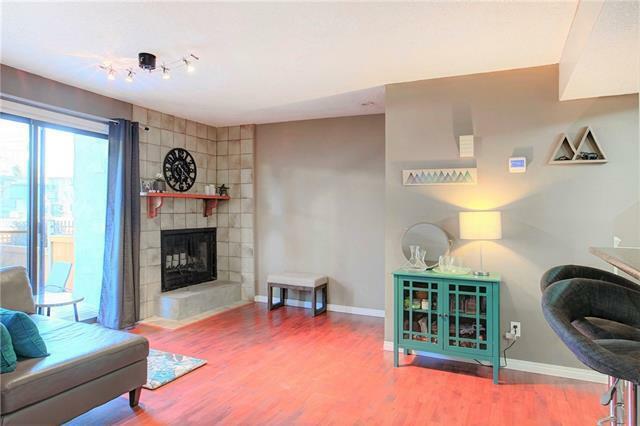 Lower level is fully developed w/ large rec room, half bath & laundry room. Newer HE furnace & updated fixtures throughout. Includes 1 stall plus street parking. This home is in a great location! 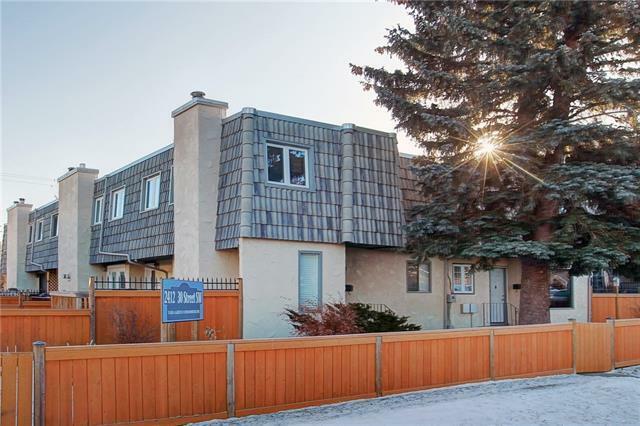 Close to the Killarney Pool & Rec Centre, trendy shops & cafes of 17th ave and Marda Loop, plus easy access to the cTrain & downtown. Perfect for first time buyers, investors or anyone wanting to live inner city!